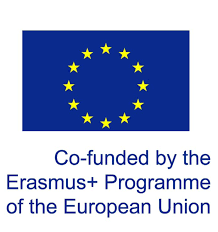 A great morning for great Euronkitters! 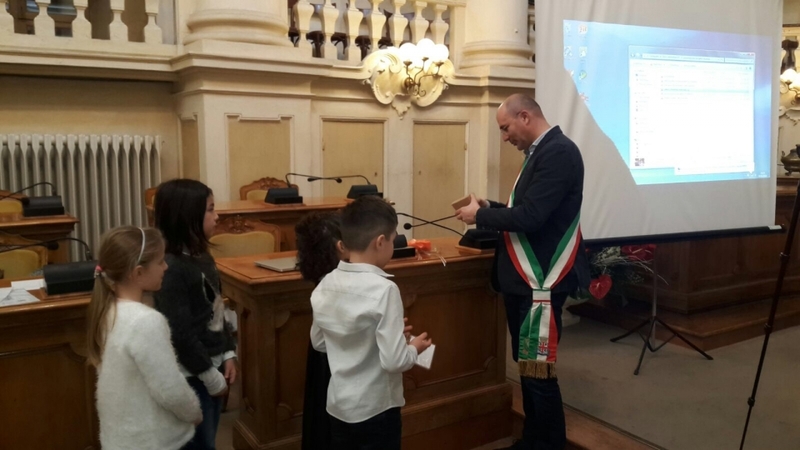 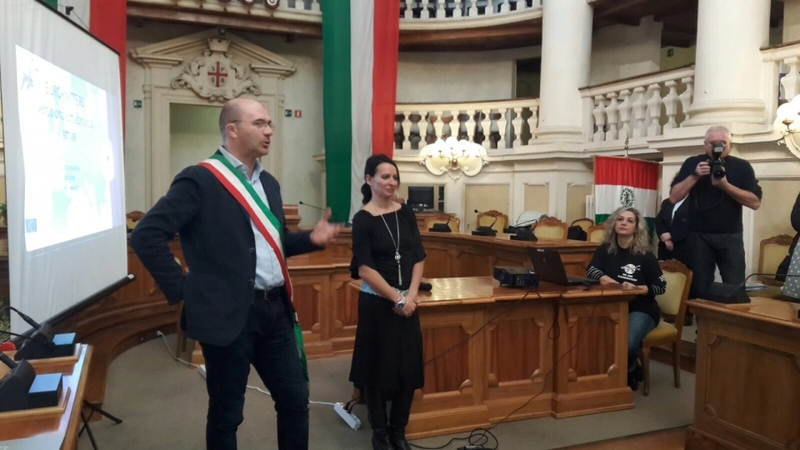 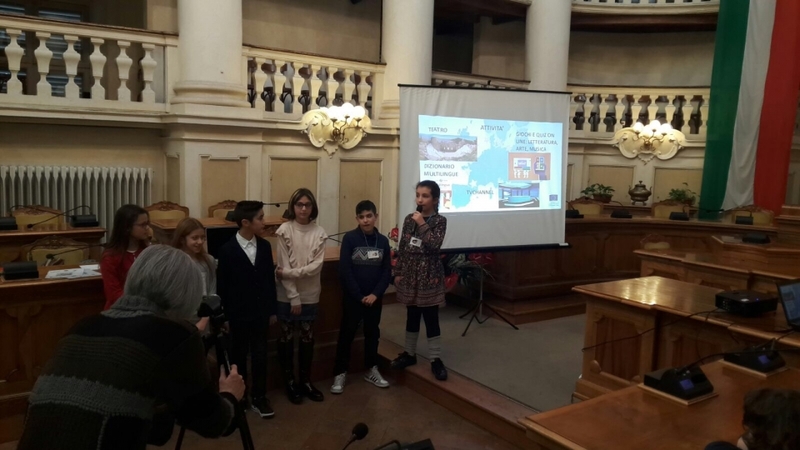 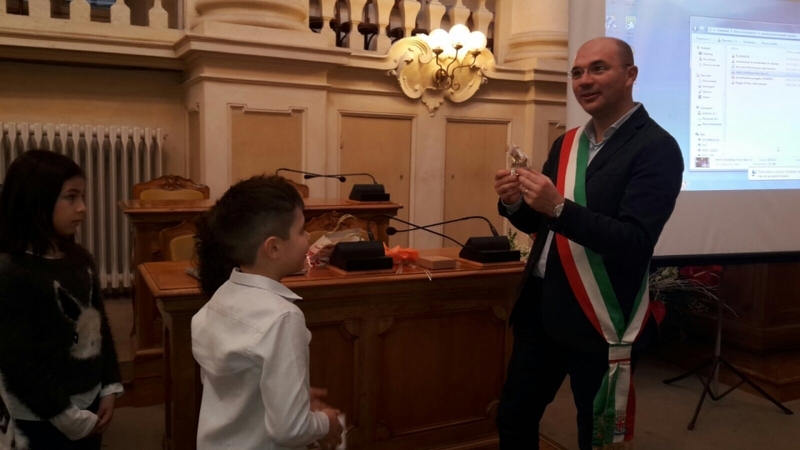 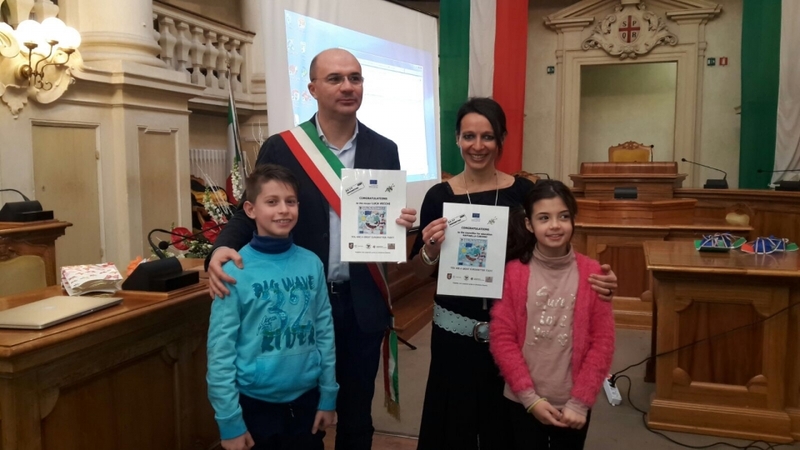 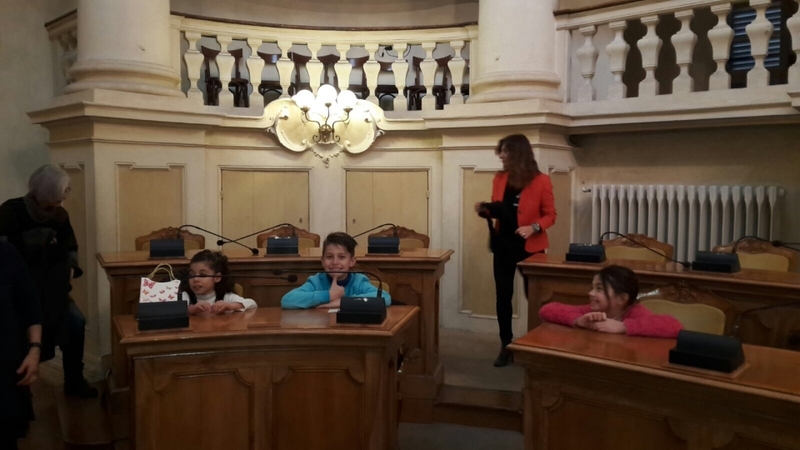 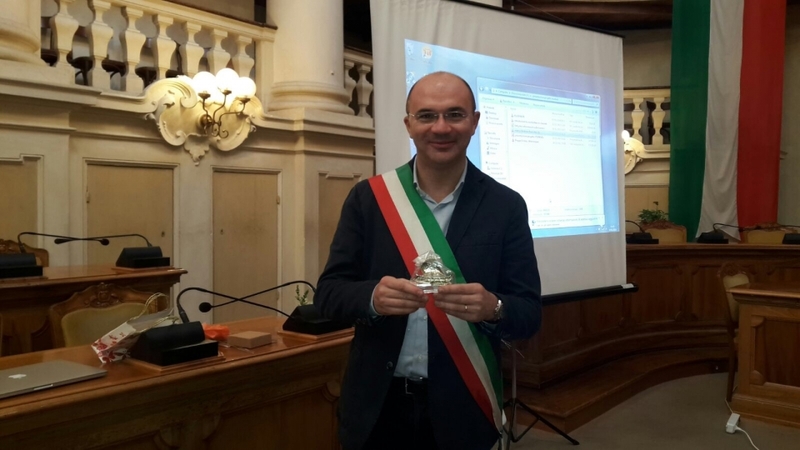 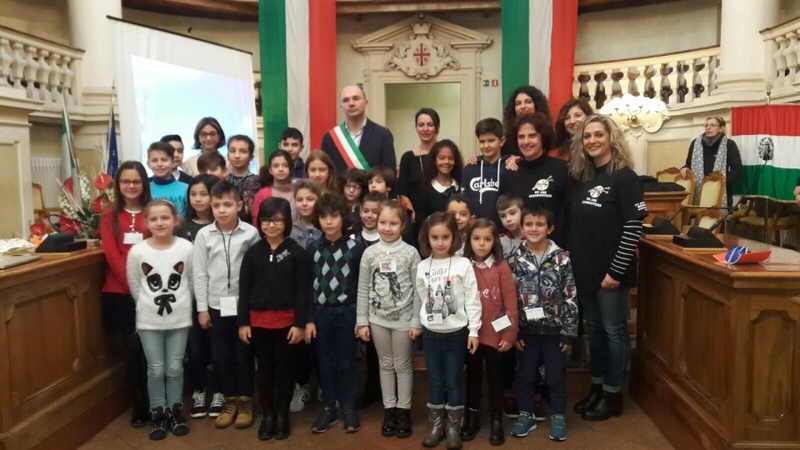 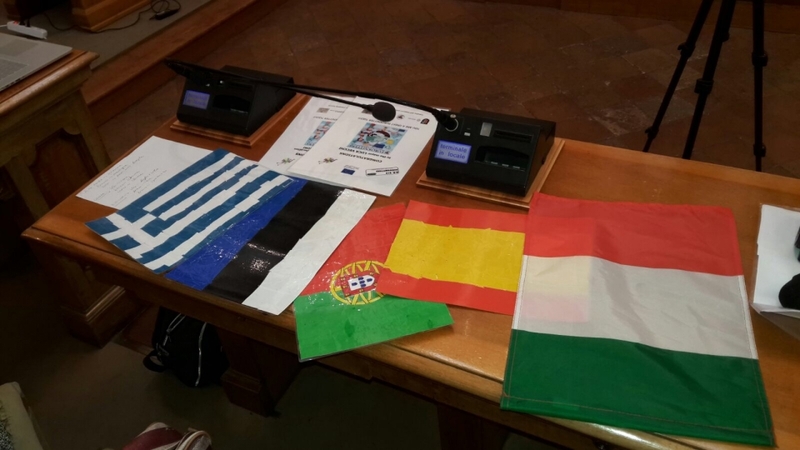 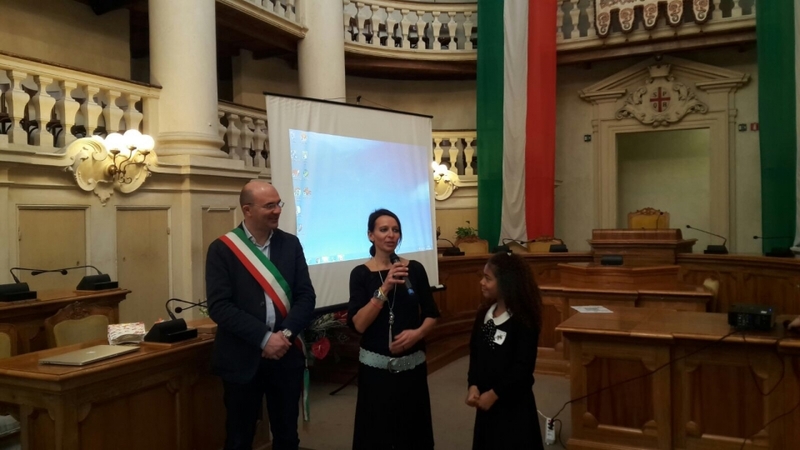 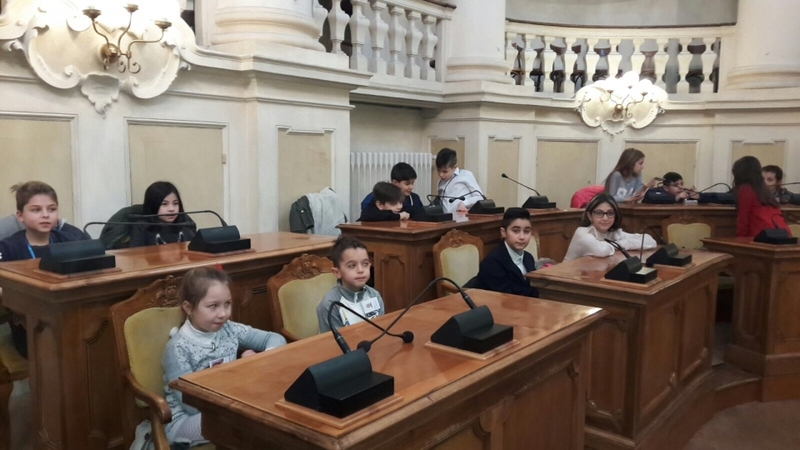 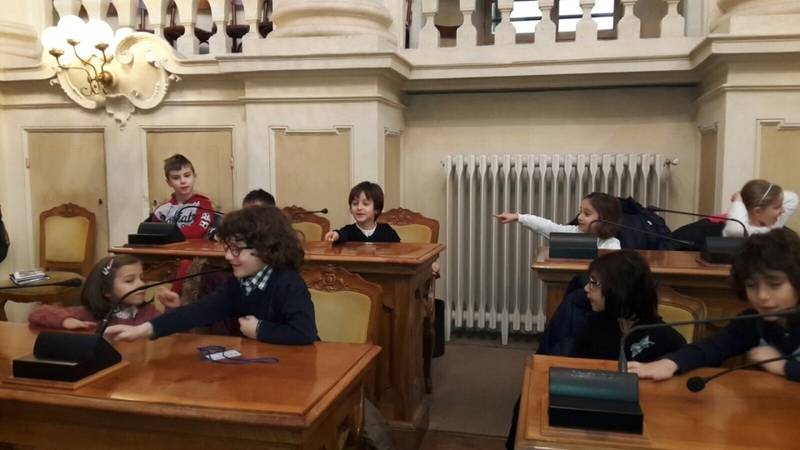 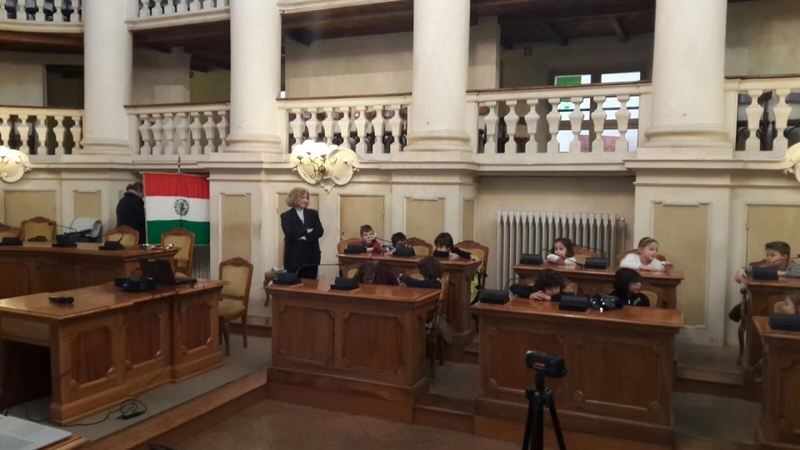 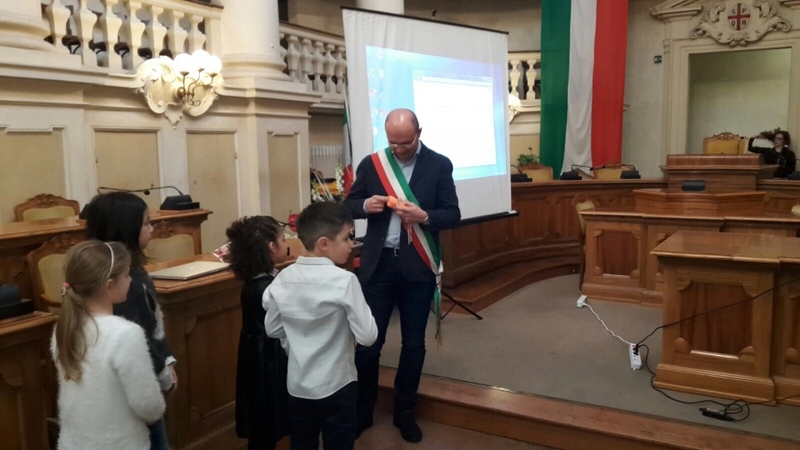 Some students and some teachers presented the project to the Municipality during a meeting in Sala Tricolore. 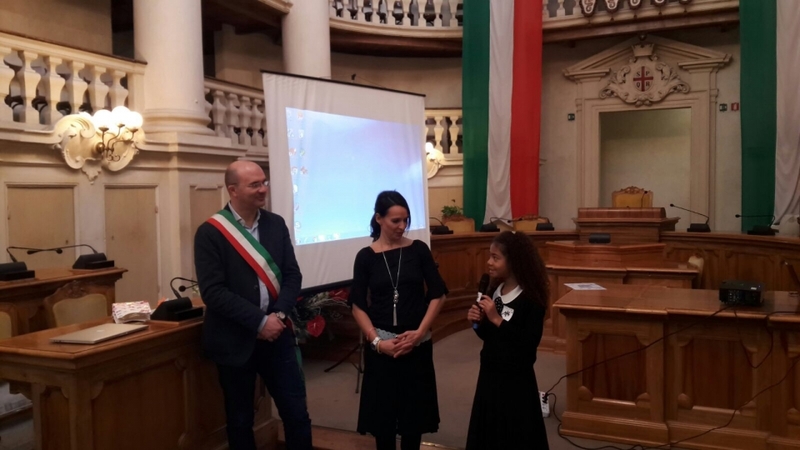 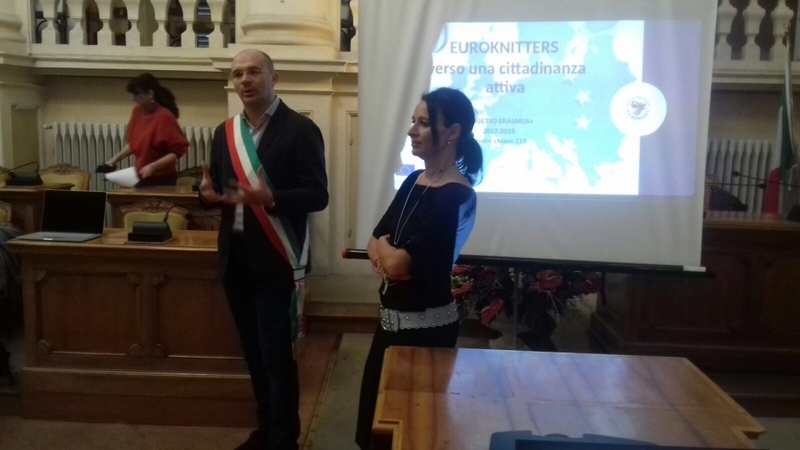 They explained the objectives and the experiences to the Major of Reggio Emilia Luca Vecchi and to the Councillor for Education Raffaella Curioni. 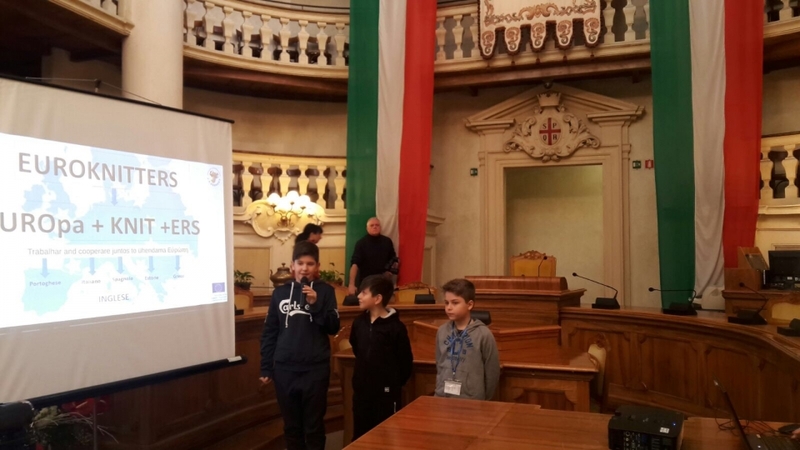 Students were very excited and very proud about this project that involved them with many activities. 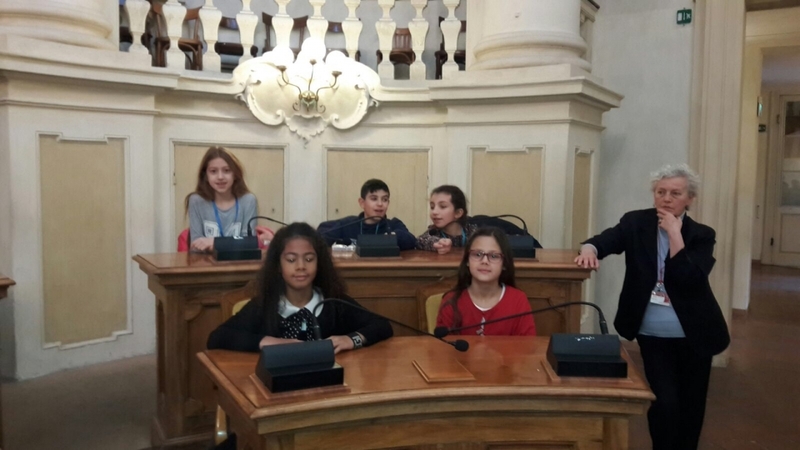 The Mayor and the Councillor were so interested and they congratulated everyone. 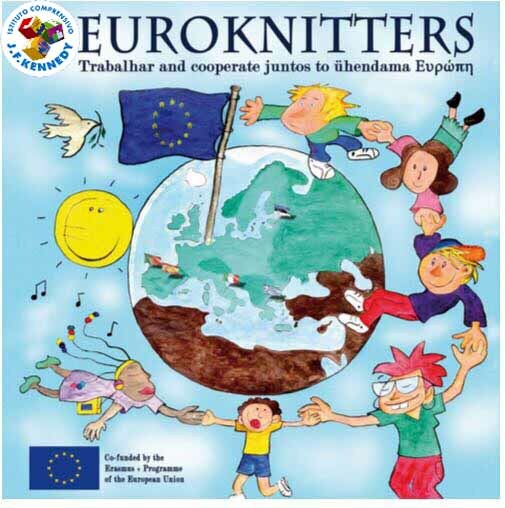 Finally students gave both a certificate: now they are great Euroknitters too!